Northern Tradition magic gives us the tools to bring ourselves into a dynamic interaction with the cyclic workings of Nature. The Northern Tradition is the indigenous spiritual and magical system of European peoples north of the Alps. With its origins in archaic shamanic nature-veneration, it embodies the observances, practices and traditions of the people of the Celtic, Germanic, Scandinavian and Baltic realms. 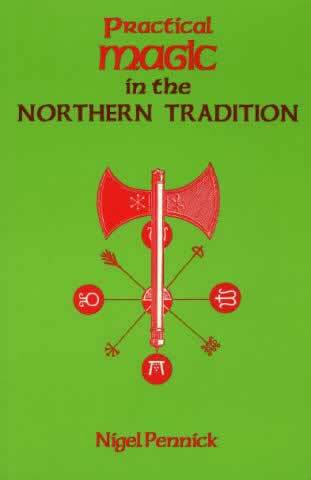 Now the Northern Tradition has emerged again in its own right, in a form appropriate for these times. This book is the definitive work of the tradition. When we view the world in this way, Nature, personified as goddesses, gods, and spirits, becomes approachable. It is all too apparent that the materialist ways of modernity can lead only to the destruction of Nature. The Northern Tradition provides another way, one of harmony with the natural world. Northern Tradition magic gives us the tools to bring ourselves into a dynamic interaction with the cyclic workings of Nature. By following the age-old festival customs described in this book, we can become attuned to the natural cycle of the seasons and harmonize ourselves with Nature and our fellow human beings.